ELKOR Gift Shop, the largest souvenir and gift shop in Latvia with gross site area of 490 m2, was recently opened in a historic building located in the very heart of Riga on Brīvības bulvāris 19, right next to the Freedom Monument, offering a magnificent view to the Basteja bulvāris! The new shop offers a wide range of souvenirs, artisan handicrafts and art objects typical for Latvia. 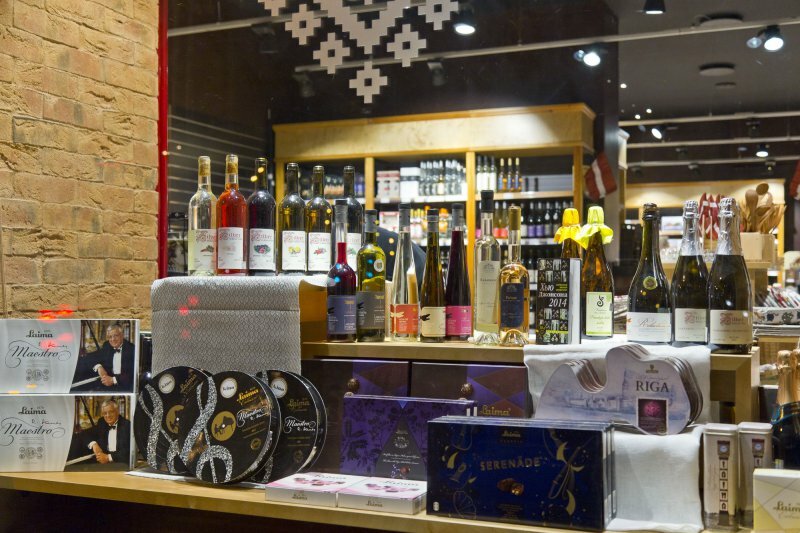 Guests of Riga will find many unique souvenirs and original gifts to bring home from Latvia. Wide selection of Latvia-produced tablecloths, napkins, towels, curtains, pillows and knitted garments from natural materials (linen, cotton and wool), as well as educational and wooden toys, stitched and knitted dolls for toddlers, amber jewelry, masterful Latvian paintings, Latvian ceramic articles, soaps and decorative candles are available. Moreover, guests can purchase various delicacies and sweets from local producers, world famous Riga Black Balsam, Latvian sprats, delicious Latvian honey and homemade wines for festive table, or romantic evening. Each item presented in the ELKOR Gift Shop is handmade by outstanding masters and is unique! Here you will find everything your heart desires! ELKOR, founded in 1989 in Riga, is a 100% Latvian company. ELKOR retail chain offers electronic goods, clothes and shoes for women, men and children, as well as goods for sporting and tourism, baby items, food, and interior design items. The company, which employs more than 800 people, also provides technical and maintenance services. My name is elizabete jurane . I'm from australija and I loved your shop. Latvian culture food crafts so beautiful . I have Latvian citizenship and am here for one year.